Who is it for: All SME's and start-up businesses, particularly businesses supplying goods or services with a credit facility (i.e transaction where upfront or immediate payment is not made. 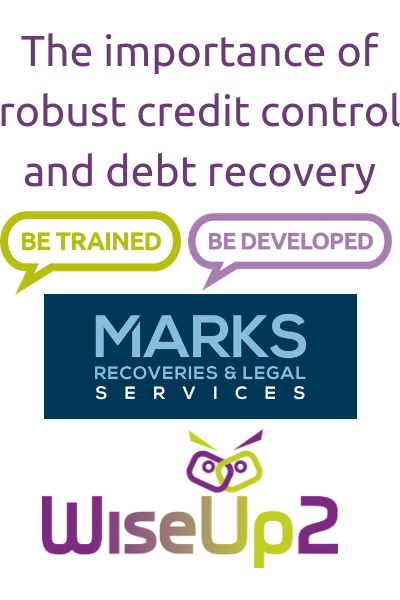 Simon Marks of Marks Recoveries & Legal Services. Why is credit control so important? How well do you really know your customer? What will I get out of it? This hands-on and interactive workshop will provide attendees with the knowledge and confidence to be able to make really sound and important decisions when looking to offer a credit facility to existing customers and potential new customers. Business owners will be able to increase their sales knowing that they have done everything within their control to mitigate against the inherent risk of bad debt. Disclaimer: The notes, commentary, and comments made at or contained in this training course are personal to the Trainer and are not intended to be tailored to any particular factual situation. They are not intended to be representative of the Chambers view or opinion on any particular matter nor is the training intended to stand on its own. The Trainer and the Chamber cannot accept any responsibility for loss or consequential loss occasioned to any person acting or refraining from action as a result of the material in this training course, its accompanying notes or comments made during the training whether by the trainer or any other party whether purporting to speak on the Chamber’s behalf or otherwise. Worthing & Adur Chamber of Commerce is the trading name of Worthing & Adur Chamber of Commerce & Industry Ltd.
Company registered in England & Wales. Company number: 00345261.